Vice Rector Fr. 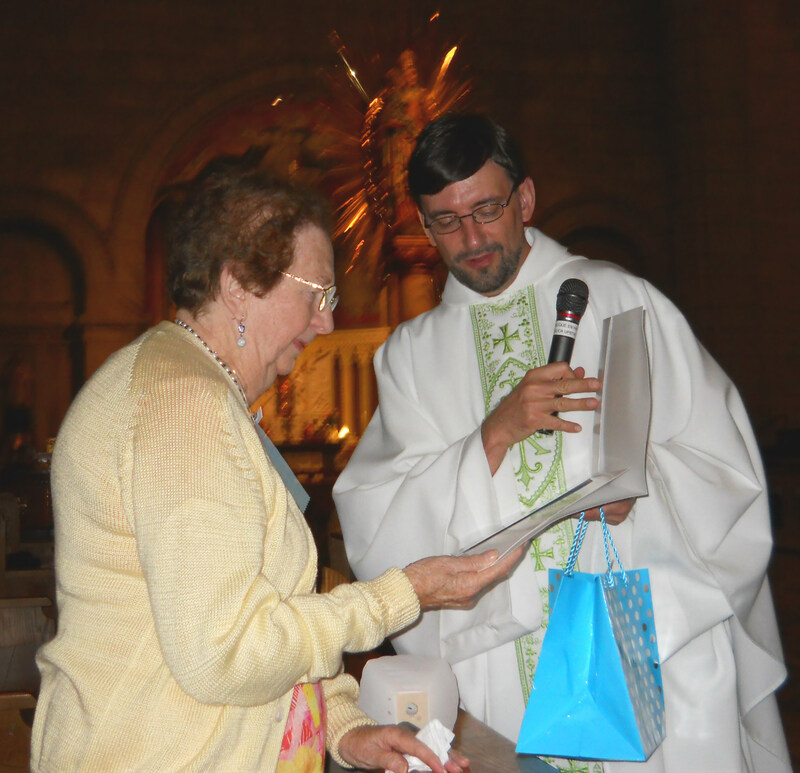 Charles Duval, CSSR presented Dolores Slazak, trip organizer, with a certificate and statue of the Holy Family during Mass at Ste. Anne’s. Fr. 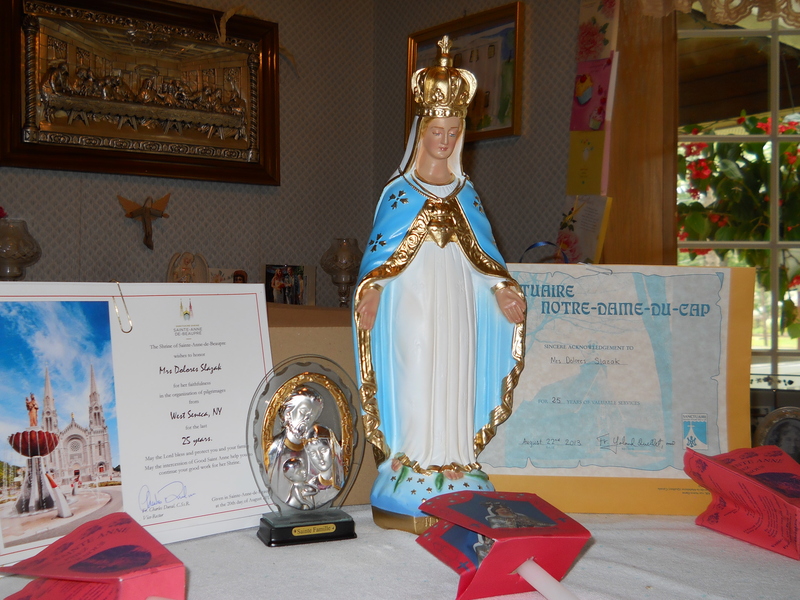 Duval commented that Dolores was very deserving of this special award for having brought thousands of pilgrims to Ste. Anne’s over the years…this year’s trip was the 25th that Dolores organized. Dolores was honored similarly by Fr. Yoland Duellet, Rector at Notre Dame Cathedral, Three Rivers, Quebec with a certificate of recognition and a statue of the Blessed Virgin Mary. Forty-two pilgrims journeyed with Dolores this year, coming from all over Western New York…ask any one of them about the trip and they will tell you it was a great time! The rumor is that Dolores is retiring after chairing 25 trips, but Larry Lisiecki, co-chair of this year’s pilgrimage, took great notes and will move up to chair the next pilgrimage to Ste. Anne’s, likely in two years. The trip was co-sponsored by St. John Kanty Church and The Polish Union of America (click on photo to enlarge).